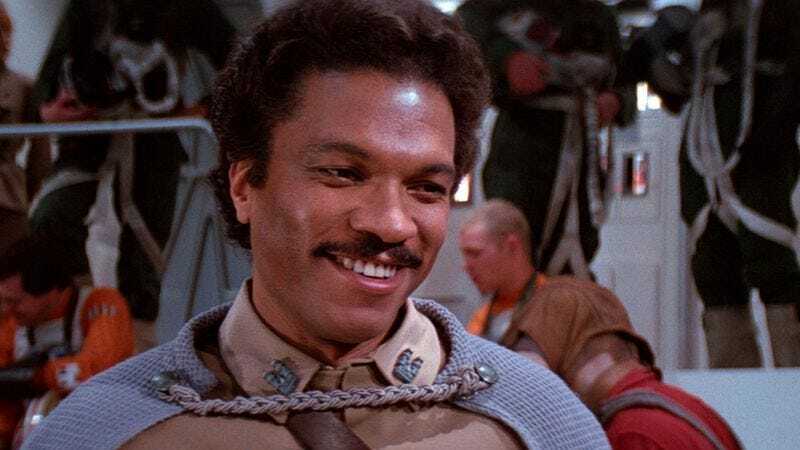 As reported by Deadline, ABC has cast the eternally cool Billy Dee Williams in its three-hour remake of Dirty Dancing. Williams will be joining Abigail Breslin, Cole Prattes, Debra Messing, and Sarah Hyland (who just joined the cast yesterday) in the highly anticipated/dreaded TV event, and he’ll be playing Tito Suarez, the bandleader at the summer resort where Baby and her family are staying. Tito doesn’t play a huge role in the original movie, but he does tap dance and listen to his boss while he bemoans the fact that kids in the ’60s are bored of going to summer resorts with their families, but since ABC’s version of the story will pad it out to three hours, Tito will probably play a much larger role. Maybe he’ll even be a secondary protagonist and get involved in that subplot where the two old people go around to different hotels and steal wallets. Or maybe he’ll make a deal that just gets worse all the time, and everyone can go around quoting Star Wars.